Welcome to the Rabbi Albert I. Gordon Religious School! 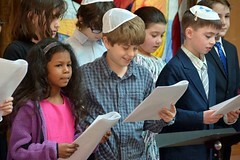 The Rabbi Albert I. Gordon Religious School includes both our Gan (K) through Hay (5th grade) program and Makor, our middle school program (6th and 7th grade) in partnership with Prozdor, and provides our students with a meaningful and substantive academic program enriched by exposure to all aspects of Jewish life and culture. 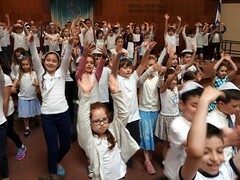 The vibrant Religious School experience is anchored by a curriculum that focuses on critical areas of Jewish learning: Ivrit (Hebrew language); Tefilah (prayer); Chagim (Jewish holidays); TaNaCH (Torah, History and Mitzvot); and Yisrael (Israel). 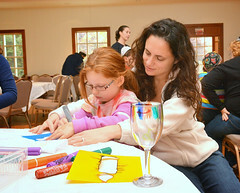 Our stellar faculty is enhanced by learning specialists, music and Israeli dance specialists and teen and college-age madrichim (classroom assistants), all of whom are models of derech eretz (professional and ethical standards) and are deeply committed to providing educational excellence in an environment which highlights the joy and ru’ach (spirit) of Jewish life. To learn more about our Gan through Hay (Grades K-5) program, please contact Ilene Beckman, Religious School Director. 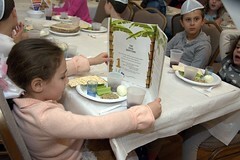 When our children reach 6th grade, they begin Makor and embark upon their serious B’nei Mitzvah preparation. Our Makor students experience the benefit of being taught by our Rabbis, Cantors, and Director of Informal Education as well as the opportunity to choose electives taught by top-notch faculty affiliated with Prozdor. 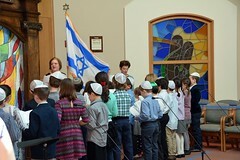 This partnership enables our children to form personal relationships with our clergy and to broaden their Jewish educational experiences by selecting from a range of new course offerings. 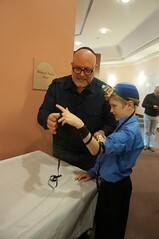 Viewed as an innovative model for educating middle schoolers, Makor has grown to attract other synagogues to this partnership, engaging middle school students and inspiring their interest in Jewish learning. 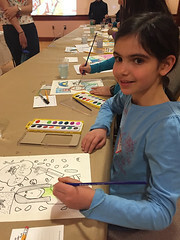 To learn more about Makor (Grades 6 and 7), please contact Wayne Goldstein, Temple Emanuel Makor Liaison. We are excited to meet next year’s prospective Gan (K) students!